When I first became a mom, I knew there was this massive force out there called “mommy bloggers”. It was this mystical source of knowledge and power, but a simple Google search revealed just how many mom blogs there actually are. To say I was overwhelmed would have been a total understatement. Now that I’ve done an ungodly amount of research into the issue and *gasp* even started one of my own, I wanted to pay homage to my confused and frightened years-ago-past-self with something that would have made her life a lot easier. Each of the blogs featured below are certified to be absolutely wonderful reads. Each of these blogs is still considered “young” for a blog. Some are only months old. I wanted to focus on the ones that weren’t already covered in ads, product placements, and corporate sponsorships, focusing on ones that held true potential and had something really important to say. I culled through literally hundreds of mom blogs to make this post and can personally verify that each of these offers something truly wonderful and unique. For your convenience, I’ve sorted them into categories. This way you don't just get the best mom blogs, you get the best pregnancy blogs, the best working mom blogs (or stay at home mom blogs), the best lifestyle blogs, and the worst blogs to eat when you're really hungry but are trying not to snack before dinner time (these ones are dangerous for your waistline). Without further ado, I present my personal list of the best mom blogs you haven’t read yet. While many mom blogs are similar, these completely break the mold. Each of these blogs speaks to a completely unique niche. Not only are they worth reading if you fall into one of these specific groups, some of these are the most interesting and thought-provoking things out there. Definitely take a peek, even if you don’t immediately think they’ll apply to you. The blog itself is wonderful as well. Run by Kristen alone now, it has individual sections for advice on stepmomming, momming, coparenting, and being a wife. The writing tone is amazing, honest, and sometimes laugh-out-loud funny. Even if you aren’t a stepmom, I’d still say this one is worth a read. If you ARE a stepmom, it’s worth printing out and taping to the fridge. As a self-admitted nerd, this one immediately grabbed my attention. While it’s a little too early for me to know if my toddler will follow in my computer-coding ways, I can guarantee you my parents would have benefited greatly had this blog existed back when I was a budding nerdlette. This blog is geared towards helping parents of “nerdy kids”. It covers the big issues like school, clubs, and internet safety, but it also helps with the little details and intricacies, like technical speak and what peaks their interest. I personally think this one is an equally valuable tool for parents who want their kids to be more nerdy (read: actually enjoy learning), so take a look whether Junior has donned his pocket protector yet or not. Something about the combination of a blog by a military wife (making the hardest job in the world even harder), the focus on self defense (a personal passion of mine), and the awesome visual design of this site immediately grabbed me for a pretty lengthy binge-reading session. Nila puts together an awesome combination of everyday momming tips and advice that, if heeded, will turn you into the consummate mommy ninja. I will definitely be reading this one on the regular, but I might also have to submit an application for Nila to be my new life-skills mentor. Possibly one of the most unique premises for a blog, Tammy “follows” different women around for a typical day in their lives. Her subjects encompass women from every different walk of life and all around the world, including a prison commander in northern Israel, a midwestern SAHM whose youngest daughter suffers from a severe type of epilepsy, and a Nepalese mom who gave birth 12 days before the Nepal earthquake. This blog was born out of the realization that many women struggle with the same feelings of not being good enough when they can’t keep everything under control, and also not being appreciated for how much they do every single day. It gives an interesting perspective on women around the world and is truly not to be missed. I can’t really put a finger on just what makes Beth’s blog so magnetically likeable, but she just has one of those writing tones that instantly transports the reader to a comfortable couch, next to a good friend, holding a steaming mug of hot chocolate. Although she covers a huge range of important issues including LBGTQ+ parenting, stepparenting, and blended families, the magnitude of these topics still somehow doesn’t manage to overpower the sheer pleasantness (and on the occasion hilarity) of her writing. As with many other “special niche” blogs, I would highly recommend this wonderful blog even if you don’t fall into the specific categories of LBGTQ+ or blended families. The tagline for this site made me actually laugh audibly (not just LOL). It says “when you’ve got a nice, crunchy plan and God just laughs”. This not only encapsulates motherhood pretty nicely in a one-sentence summary, but it sets up an incredibly useful blog. Kimberly encompasses parenting and motherhood in general, as well as more specific subjects from pregnancy and c-section planning to gestational diabetes. I’d highly recommend this self-described “Misfit Crunchy Mom” and her writing to anyone in the early phases of motherhood or really any mom who needs a good laugh. This mom has overcome teenage pregnancy, dropping out of college, single momming, toxic relationships, a house fire, and ADHD to bring to you this monument to empowerment and shunning the victim mindset. Lacy Estelle is the paragon of a can-do spirit and all of that and more comes across in this amazing blog. A perfect mix of humor and straight-up motivation, this blog is definitely a must read. This is one of those websites so beautifully simple that you let out a deep sigh of relief you didn’t know you were holding the second the page loads. In keeping with the theme of practical minimalism, there is no unnecessary clutter here, just practical advice on homemaking and family activities in a way that doesn’t scream “I’ve surrendered to the fact that I have kids, take a seat at one of these Minnie Mouse tables and I’ll see if I can unbury a chair from beneath the mountains of toys and dirty laundry”. Lauren gives you a wonderful glimpse into deeper topics like post-partum anxiety and finding balance in motherhood, all while keeping true to her theme of beautiful, minimalism. This mom is the patron saint of rolling with life’s punches. She preaches finding purpose in chaos and mayhem, chasing dreams without burnout, and unapologetic self-care. Laurie, a mom of two kids, one of whom is on the autism spectrum, fills her blog full of helpful hints, awesome stories, and hard-fought wisdom about maternal business, special needs parenting, and special education. Equally wonderful for parents of kids with and without special needs, this blog truly belongs on the “to read” list of anyone who wants a supportive and joy-restoring ally in parenting. This one is run by a mamma of six kids. (Yeah, you thought you were overwhelmed? I said six kids…and she has time to run a blog. I have two and I’m lucky if my shoes match each other.) Tracey moms two adopted teenage girls and four boys that are biologically hers (hence the name Weinerville). Even with this comically-large tribe, her finesse, grace, and honesty make this blog unexpectedly magnetic. I found myself clicking on a post out of curiosity and finding myself unable to stop reading. Drop in for a read and I promise you’ll be equally spellbound. So this wasn’t actually a category in the first few drafts of this article. However, these blogs hit me straight in the feminist, empowered woman soft spot, so I had to give them a special spot of their own. As a mom of two daughters, especially in today’s era, I know I crave a community of like-minded moms who are dedicated to raising the next generation of girls to be strong, smart, and take-no-prisoners awesome. The following blogs will help you do just that. This one made my inner feminist rip off her soccer jersey and do a Brandi Chastain impression. 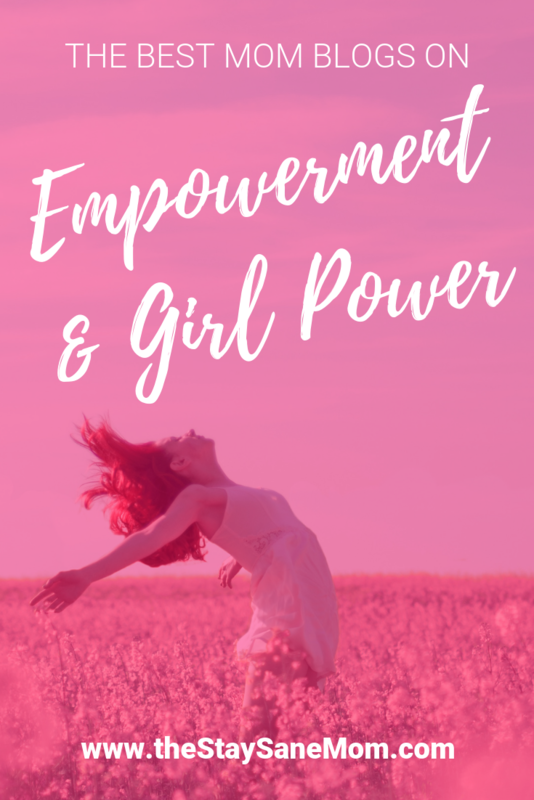 This blog is all about raising girls to be strong, successful women and covers every age from babies and early school to tweens and teens. One of the special things here is it isn’t just one mom creating an amazing blog, it’s the beginning of a whole tribe. This tribe values realness over Instagram perfection and (in my very biased opinion) couldn’t be more needed in today’s Kardashian-obsessed society. 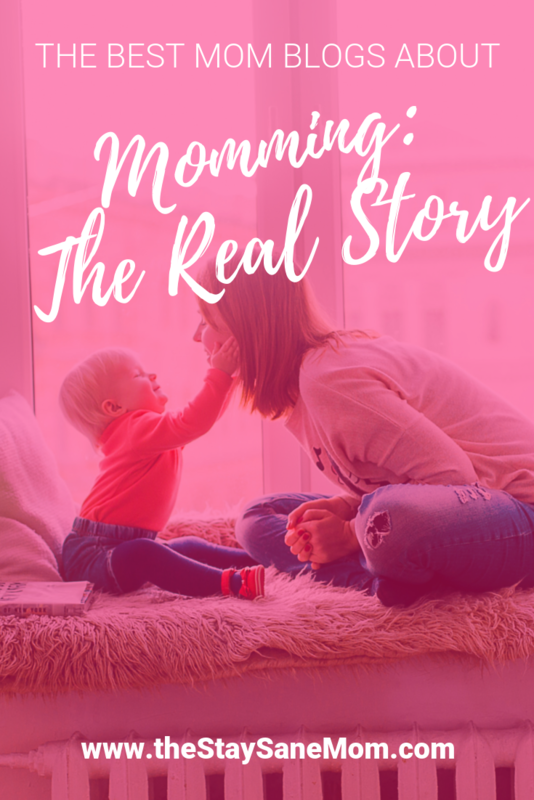 This one is great because it helps moms realize they don’t actually have to be Pinterest-perfect, mom goddesses in order to be amazing parents. It supports moms and builds their confidence by giving them the tools they need to build their own parenting blueprint. Definitely a must on the to read list. I can’t tell you how much I love this one for the title alone. 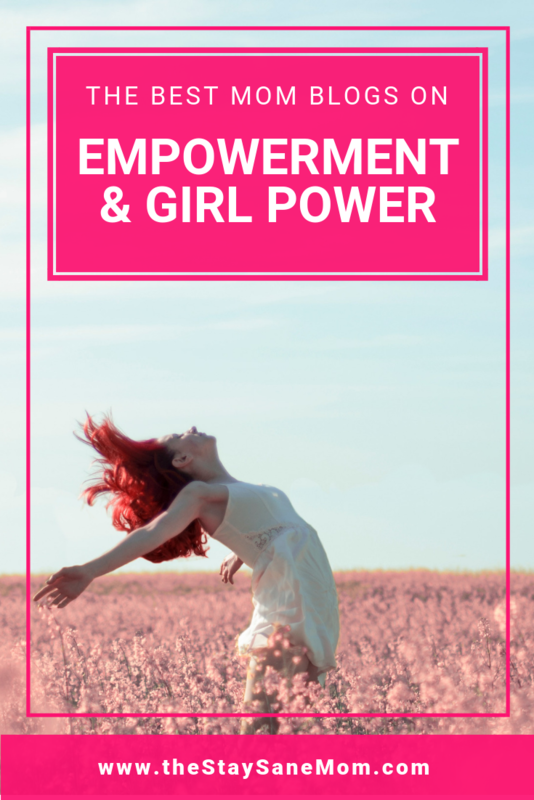 Inside this wonderful gem of a blog you’ll find exactly what the title leads you to believe: an impassioned, honest, down-to-earth feminist who, aside from raising an adorable and independent little girl, writes an amazingly empowering blog that makes even the weariest among us feel like we can accomplish great things. Julie’s blog is full of amazing tools, like her free Sunday Routine Planner, which makes the most dreaded, depressing night of the week much easier. This blog had me at her promise that she wouldn’t blog obsessively about clothes or beauty regimens, but solidified my status as a regular reader with her real, no-nonsense attitude and brazen acceptance of the “bossy” moniker. Now more than ever the world needs more bossy women, so this blog could not have come at a better time. These blogs should be bookmarked on your favorites bar for when you need something to lower your blood pressure before you explode into a steaming pile of mommy shrapnel. They’ll make your life easier with practical hints, timesaving strategies, and ways to actually take care of *gasp* yourself. This blog is created on a simple premise: teaching you parenting, cooking, cleaning (and a million other things) in under 20 minutes. Need a quick, healthy dinner on a budget? Grandi’s got a solution for you in under 20 minutes. Want to keep your bathroom clean and organized without actually cleaning it? You guessed it...under 20 minutes. 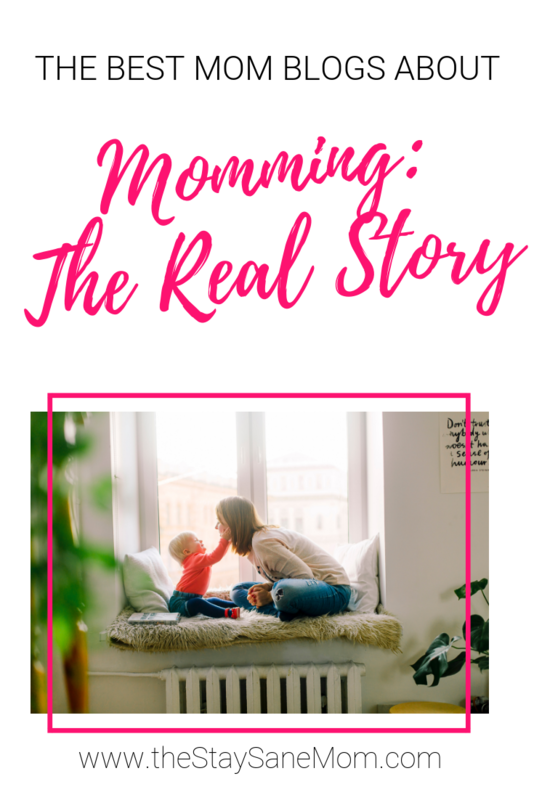 Not only do I love this blog for teaching me everything I need to know (and I do mean everything) in an amount of time that makes sense for my crazy-busy, toddler-chasing, overscheduled, hundred-mile-an-hour mommy lifestyle, it also won my heart because of the reasoning behind it. The 20 Minute Mom understands that if we save time on all the “doing” things, we get to spend more time actually “being” with our families. It’s this underlying value on presentness which really made this one hit home. As a working mom of two who somehow manages to run a blog (I’m guessing in the wee hours of the night), Jaclyn really lives up to the name of her blog. As the title would lead you to believe, this blog has a little bit of everything. In one (incredibly beautiful) blog, she somehow manages to cover practical advice, life hacks, marriage, parenting, DIY projects and crafts, travel, entertaining, and more. Talk about multitasking, this one was a personal favorite of mine. You might be a mom, but that’s not the only thing you are. 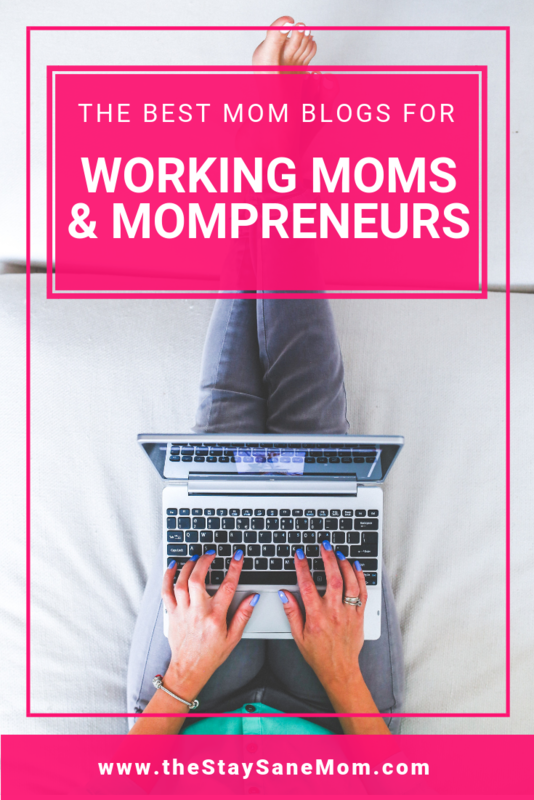 These blogs handle mom’s business-world alterego, whether she works from home or in the corporate world. Each of these blogs has a specific understanding of what it takes to juggle momming with a million other tasks. When I first read the title of this blog, I think I automatically translated it to “work life balance” in my head. I read the words, but assumed that was what this blog was about. I was pleasantly surprised at how wrong I was. Gemma’s blog talks about how, especially for moms, the days of having a traditional 9-5 and then coming home and having 100% focused family time are over. As most working moms can attest, our careers (much like our toddlers) usually follow us around wherever we go. It’s not something we balance, but something we blend. And that’s where this blog excels. It helps moms find ways to harmoniously blend the act of parenting with a flexible career or a career from home. 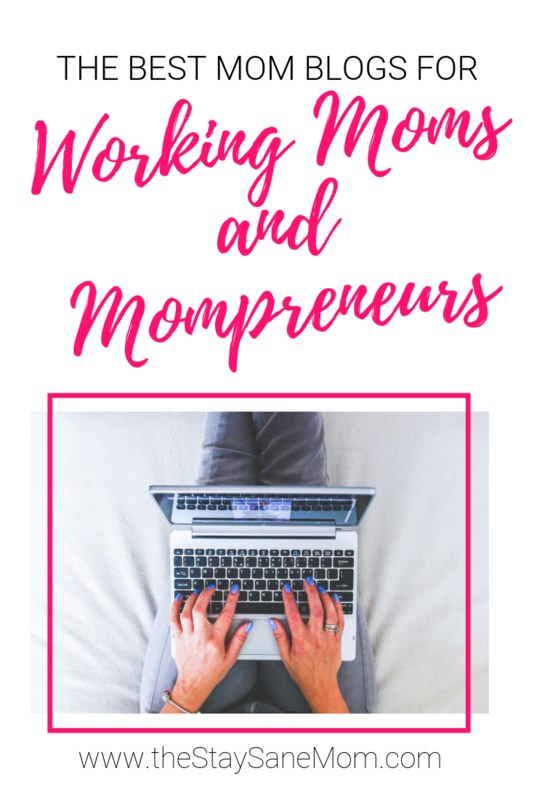 This site is the one for you if you want advice for professional moms, information about part-time or flexible jobs, and support on starting your own business; especially useful if you’re considering starting a blog yourself. This blog pulls no punches. 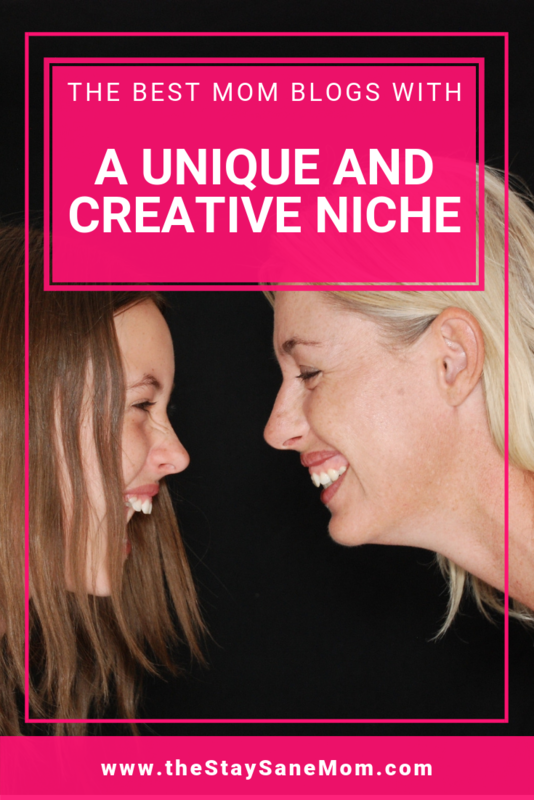 It has one straight-forward purpose: to help moms start generating passive income online. Specifically, it focuses on affiliate marketing, courses, ebooks, and (of course) blogging. This site doesn’t have fancy bells or whistles, but rather provides a pretty staggering amount of useful information, personal experiences, and other knowledge that will get whatever online business you’re trying to start (you know...in all your spare time…) off the ground. Let’s be honest. Despite its magical and life-affirming moments (of which there are many), parenting is also often a brutal, guttural, soul-wrenching experience with a level of chaos that only former POWs and trauma nurses could really understand. These amazing blogs are great for a brutal and humorous understanding the ups and downs of parenting. I’d recommend reading them on those days when the toddler tries to figure out just how much mayonnaise he has to put on the cat before the dog licks it off. There is a very real possibility I am going to stalk the writer of this blog until she consents to be my new best friend. (Just kidding FBI. Don’t flag me...again…) Seriously though, if you’re looking for uplift, camaraderie, or some actually-painful belly laughs, this blog is the one for you. Becca’s down-to-earth perspective, relatable stories, and incredible humor are guaranteed (by me, at least) to make you smile, laugh, relax (a little bit), and forget (if only for a moment) that your toddler just chucked a heavy can of stealthily-grabbed soup at the head of a total stranger in the supermarket. I have no hesitations about recommending you binge read this one ASAP. If there’s anyone who understands the stresses inherent in doing eighty five different full-time, pro bono jobs at once (read: being a mom), it’s Amy from The Savvy Sparrow. 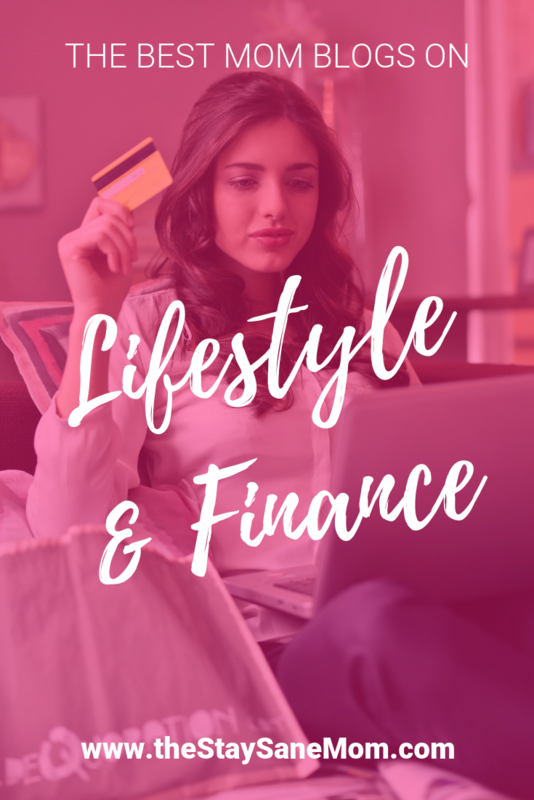 With a web design just as perky and upbeat as its personality, this modern blog covers the main sources of stress in a mom’s life: money, family worries, and home stuff. What I especially love about this one is Amy’s brutally-honest discussion of the issues of being a stay at home mom, both practically and when it comes to your identity as a person. (BTW, “person” is a noun that refers to that thing you were before tiny humans started calling you mom.) If you ever have an overwhelming day, you will find immediate solace and e-friendship on this wonderful blog. Momma Camping delivers exactly the type of vibe it promises: raw, real motherhood with no filters and no pretense. Renna concentrates on the natural approach to life, blogging about escaping into the outdoors, “crunchy” motherhood (one of my favorite new descriptors, btw), and enjoying the journey. 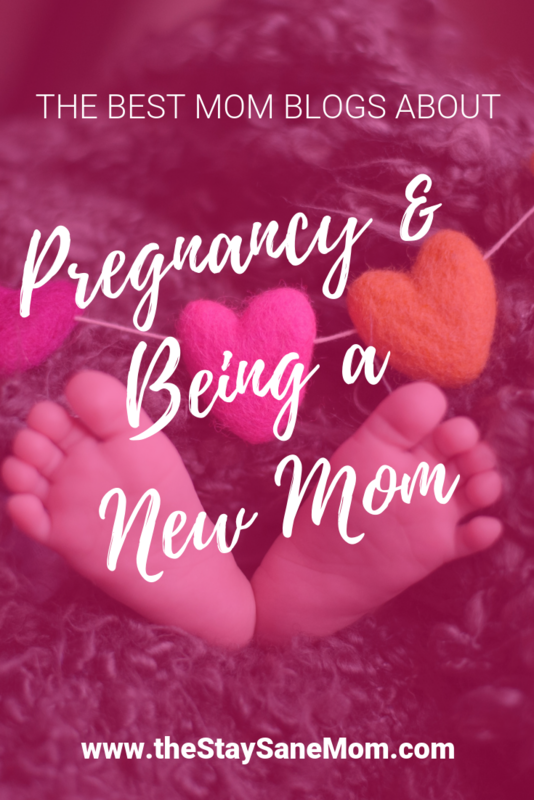 This blog covers all phases of motherhood, from pregnancy and babyhood through the years as they grow. In this age of technology, when kids who can’t sing their ABC’s know how to successfully pickpocket mom’s phone out of her purse, unlock it, and find the Netflix app before mom realizes what’s happening (*cough, cough, mytoddlertotallydidthis, cough*), the raw naturalism and authenticity of this blog couldn’t be more necessary. Even though this section involves homeschooling blogs, it should be read by absolutely everyone who wants to make sure their kids “don’t spend a lifetime searching for ‘East Dakota’ “ (to quote Modern Family). Seriously, these are an essential read for making sure your kids not only learn but also that they learn to love learning! So I’m not exactly sure if this is a mom blog, a homeschooling blog, or a teaching blog. What I am 100% sure of is, if I could, I would make it required for the whole darn planet. As a huge advocate of education, there are few things that make me sadder than the way curious, engaged toddlers turn into uninterested, easily-bored middle schoolers. Sandra uses her 6 years of teaching experience and double majors in Math and English to lay out how to keep kids engaged and interested in the learning process. I seriously can’t recommend this blog too enthusiastically. 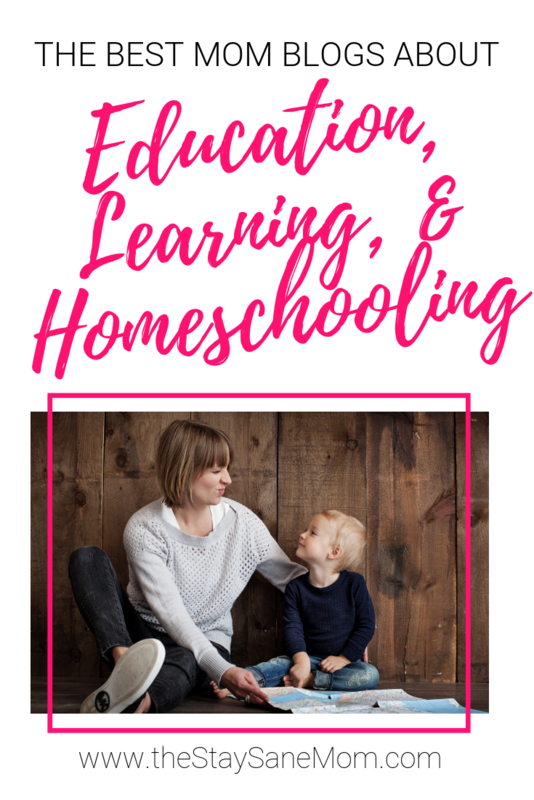 Despite the fact that Heidi, a long-time teacher, didn’t expect to be a “homeschooler” (hence the title), this blog truly turned into the ultimate homeschooling resource. Heidi has homeschooled all three of her kids and has used this experience to create a crazy amount of content. This blog encompasses tools (planners, printables, adaptive utensils, etc. ), curriculum help, and lots of personal experience and advice. 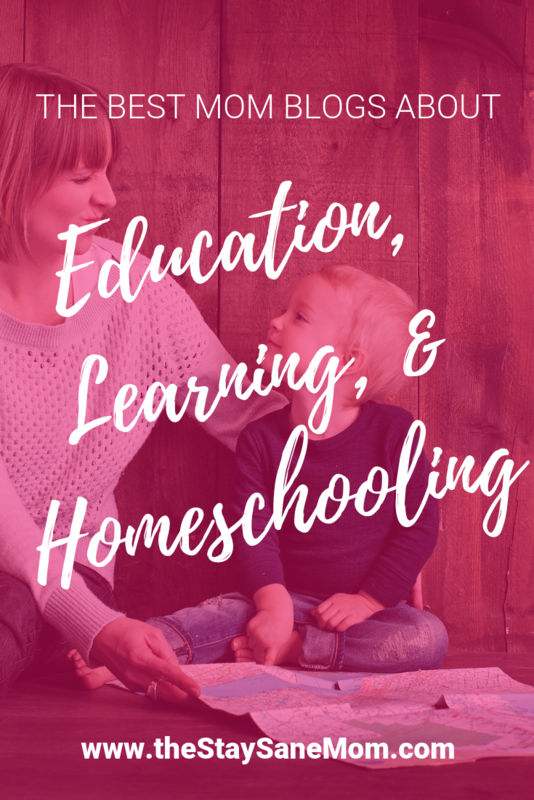 This blog is equally wonderful if you’re considering homeschooling and if you just want to supplement your child’s learning. This blog does the most reassuring and wonderful job of conveying the crazy dichotomy that is motherhood: totally wonderful and life-affirming, yet stressful, painful, and occasionally excruciating. With this incredibly sympathetic understanding of the maternal job description, Myra goes on to provide information, personal anecdotes, and tips about a truly staggering array of topics, from inspiration and family culture to writing journals and culinary projects. This one is a must read for her crazy array of fun things to do with your kids alone, but I also recommend it as a great resource for homeschooling, family activities, and maternal camaraderie. While many mom blogs focus on the “raising your tiny monsters” portion of parenting, these essential gems deal with the process of how we get there. These cover issues including pregnancy, babyhood, being a new mom, and what to do with your career once your little one arrives. Sometimes reading a mom blog is a little like getting on a moving train. When you’re barely wrapping your head around the idea that you’re about to be in charge of an actual human, the last thing you want to see is 87 Pinterest-perfect crafts that will develop fine motor skills in your toddler. (Slow your roll there, internet. I'm only 15 weeks pregnant. We're not there yet.) This blog is the answer. Elaine brings a calming and down-to-earth narrative to pregnancy, childbirth, postpartum issues, newborn babies, and mom life in general. 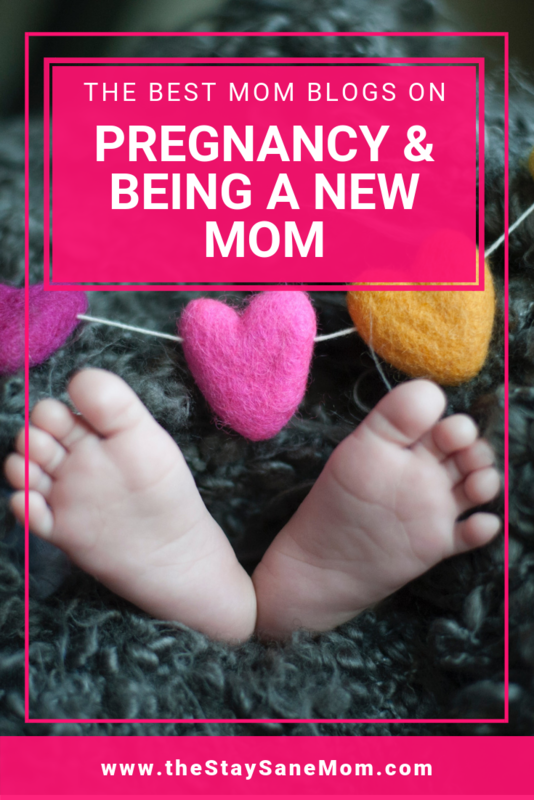 If you’re feeling overwhelmed with all the crazy things pregnancy throws at you, this is the blog for you. This is another one of those gorgeously-designed sites that lowers your blood pressure before you even begin reading. (And with the amount of clenching I do on a daily basis, that’s no easy feat.) This blog has a majestic ability to sidestep the cliched topics (because we really don’t care how to feng shui our nurseries, we just want the darn demon baby to sleep through the night) and gets right to the things that actually are going to affect your life. Want to know why birth plans are useless? What about how to fly with a baby? Kristi is your go to gal for all the wisdom you’re actually going to need on your journey into motherhood. Motherhood, it’s a mental game. Your mindset is the difference between “wow, this will be a fun adventure” and “what in the ever-loving hell happened in here, I was gone for three freaking seconds, and how many more minutes until your father gets home!?!?”. (Hint: The goal is more of the first, less of the second.) 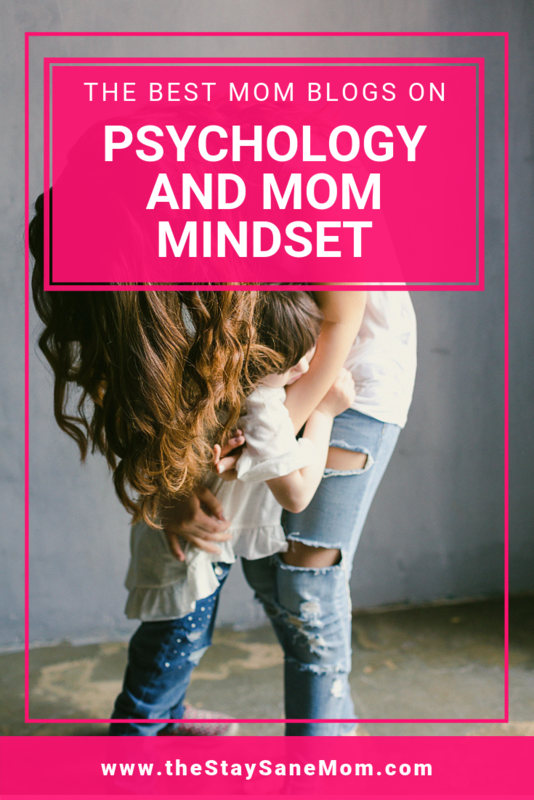 These blogs will help you lower your stress levels, get your mindset straight, and perfect the mental game that is motherhood. This is another one of those beautiful websites that just makes you relax the second you log on. This gorgeously simple website seamlessly covers an array of subjects from productivity, simplification, and organization to mindset, inspiration, and bullet journaling. However, despite the stunning minimalist design and the conceptually parallel messages, my favorite part of this one is the emphasis Gem puts on simplification for the purpose of enjoying life and accomplishing your big goals. You’re not decluttering your bathroom for when the Queen visits, you’re doing it for a smoother bath time routine, more (and better) quality time with your family, and more time to focus on your actual goals. I’m definitely a Goal Chaser convert from now on! No one better states the ridiculously-unachievable demands on the modern woman than Alicja: we have to be assertive yet ladylike, glamorous yet natural, have a career but without missing a single home-cooked meal...sounds totally doable, right? (Yeah, not really...and that’s why I’m developing a sleep-deprivation-related eye twitch.) This blog totally gets it and gives you a little, digital she-cave where you can unwind, take a deep breath, recharge, and get your mindset straight. Alicja (a psychologist and certified financial wizard) gives a wonderful, psychologically-sound pathway to a more balanced, healthy approach to motherhood. This blog is truly lovely in every sense of the word. Something about Frances’ overall tone makes you feel like you just took a huge sip of warm tea and that everything is going to be okay after all. Focusing on inspiration for moms of littles and teenagers alike, this blog takes a grounded, soothing look at some of the most potentially-tumultuous issues a parent can face (from little things like a girl’s first experiences with makeup to big things like special needs parenting) and gives you calm, sound advice. Come to this blog for a mental tune-up any time life starts spinning too fast. I guarantee you won’t leave disappointed. This is another contender in my “best web design” category. 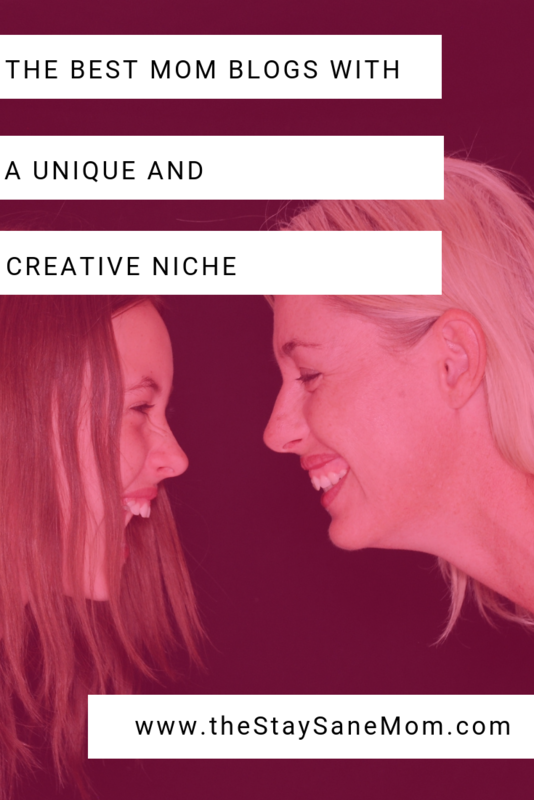 This stunningly-minimalist blog is an incredible resource for moms who are trying to balance motherhood, work, personal development, financial planning, and goodness knows what else. As the work at home mom of four kids, Heather knows better than anyone the chaos that is motherhood and multitasking. She uses this personal knowledge to create a safe space for moms who need support and resources for whatever amazing thing they’re trying to accomplish. While we’d like to pretend that a majority of the “momming” job description revolves around taking perfect pictures of our well-behaved progeny, anyone who has taken on this crazy position knows that it involves way more than that. 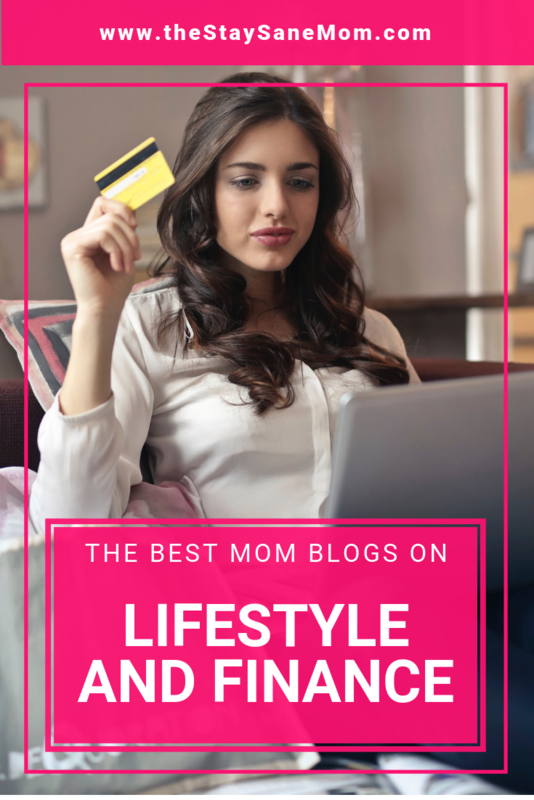 These blogs cover the gamut of the mom lifestyle, including how to handle household finances, how to shape your family’s culture, and the ever-important question of food. Another visually-stunning blog and my personal winner for "best logo" in the graphic design category. This gorgeous blog touches on all kinds of family topics including family life, miscarriage, marriage, and parenting. However, despite the aesthetic delights of this blog, where it really shines is in Beth’s incredibly personable, real, and candid discussion of every topic she discusses. Some blogs feel like you’re reading a poorly-written high school essay. Others read like an academic paper on parenting. Favorite Families reads like you’re cuddled on a poofy sofa having a conversation with a good friend. This soothing blog communicates the principles of positive parenting, self-care, and authenticity in a way that (I swear) will make you relax just from reading it. 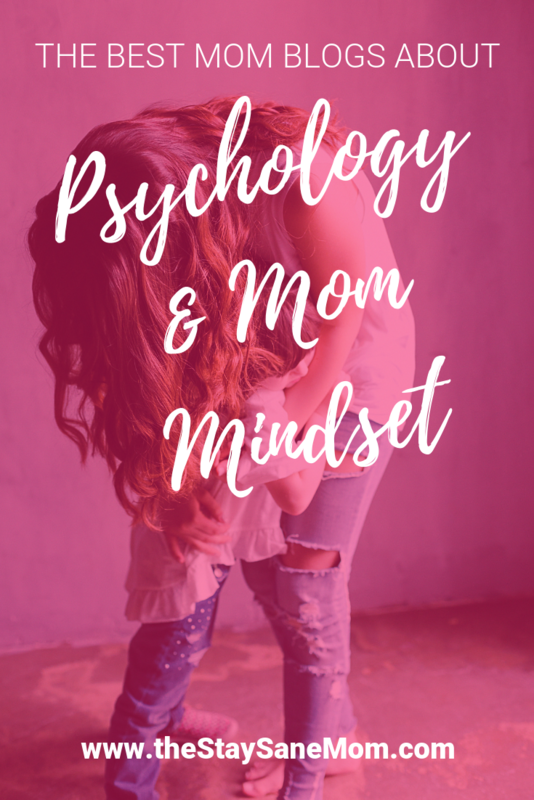 What I like best about this blog is the seamless integration of motherhood advice, resources, and information with content on personal growth and mental health breaks for mom. Many mom blogs can leave me stressed, with a ten-foot-long list of crafts I need to do with my toddler (or else they’ll resort to a life of crime or something). Gabby harnesses her background in psychology and human development to create a calm, soothing atmosphere, then she hits you with all the information you need to pursue gentle, intentional parenting without forsaking personal growth. This site is one of the most seamless examples of stunning design and awesome content. Alea covers a little bit of everything from pregnancy and family fun to finances and mom life, but throughout everything she has the constant presence of stunning images and incredibly helpful content. Also, as a mom on a budget, I really appreciate that all of her suggestions can be implemented without breaking the bank. I’d definitely recommend this one to pregnant and new moms, or to anyone looking for a better grip on their household finances. Caution: Do not attempt to read this blog when you're hungry. The tempting pictures of delicious goodies will make it so much worse. Seriously, Alicia’s delicious (pun intended) blog is the only resource you need for the culinary side of motherhood. Her food-based posts range from cute holiday snack ideas to everyday dinner suggestions. She also covers a range of lifestyle topics, from decor to parenting, all with a palatable (I swear that’s my last food pun) and approachable tone that makes even the Instagrammiest of projects look attainable to those of us who could burn Kraft macaroni and cheese. I’m officially adopting Alicia as my food mentor, and I’d recommend this yummy (sorry, I lied) blog to anyone who wants life to be a little sweeter (okay, now I’m really done). There you have it, folks, the absolute best up and coming mom blogs on the webbernet. This was seriously an awe-inspiring exercise for me. There are so many incredible, multitasking, multitalented women out there. It was truly an honor for me to get to know all these amazing ladies in the writing of this article. Each and every one of them pours a little bit (or a lot bit) of their soul into these blogs, so don't be surprised when they absolutely blow you away. Take a look around and then drop me a comment as to which ones are your personal favorites! Also let me know if there are any other blogs (not your own, for objectivity's sake, pretty please) that you think should have made the list. Also, don't forget to download the full list of all the blogs I considered for even more maternal awesomeness!